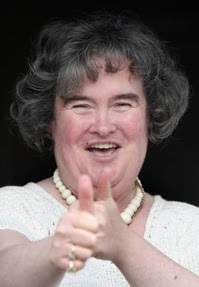 Please read my new article on examiner.com about why the phenomenon of Susan Boyle is so important to me and to millions of people around the globe. I've been thinking about this whole concept for awhile, and then Susan came along. It took me all day to write this article, I'm really proud of it! Great article! I'm over it (and completely unpopular for my opinion) but you hit the nail on the head. PS - the comment saying Britney is the most talented individual ever? I just guffawed. People are hilarious. I know right? I had to keep myself from retorting with something nasty. But I didn't, considering the grammar and spelling, I figured it would be a lost cause.